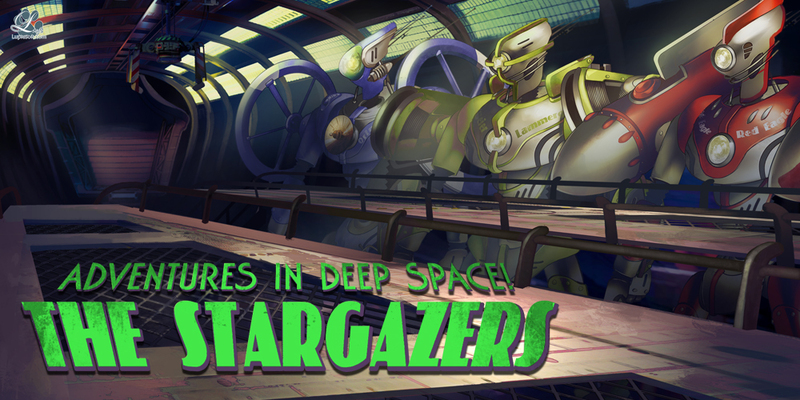 Today we’re introducing the characters behind Studio Lupiesoft’s pulp sci-fi visual novel, The Stargazers! One of the most gifted pilots to come out of the Mars military academies. She quickly mastered the art of piloting, as well as taking command when no one else is up to the task. She’s eager to advance further into her career, so she move onto the step after that. That’s part of why she ended up on a deep space patrol spacecraft, the Shooting Star. It was her first command position on a vessel in the more dangerous parts of the cosmos. Unfortunately for her, when she got there, she discovered her two subordinates were far too undisciplined for her liking. Risty is mostly calm, cool, and analytical. However, she leaves the roboting to the robots. She’s somewhat more responsible than her girlfriend, but not so responsible that she has no concept of fun. She’s known to distract herself by imagining schematics and circuit logic. 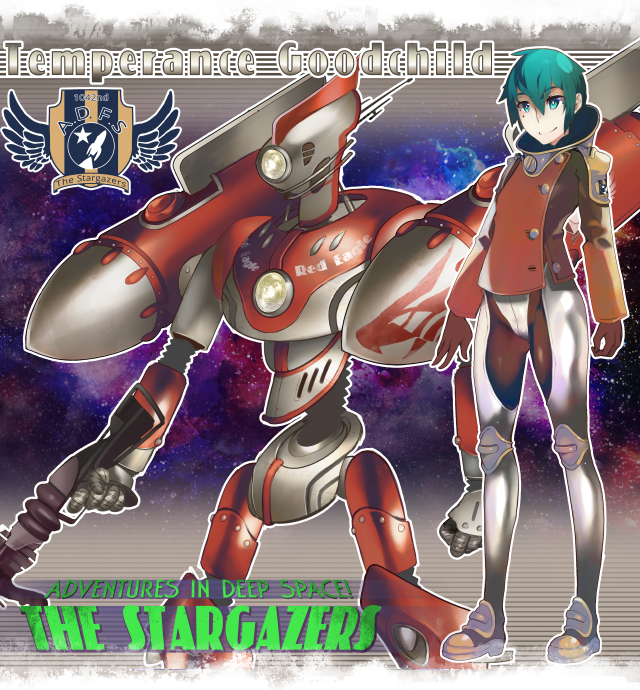 She came to the Shooting Star after living her life on the colony of Neo Sao Paulo, and is the Star’s senior pilot. She prefers hanging out on the sidelines and keeping an eye on the situation while guiding Vii’s muscle through a mission. ‘Vii’ for short. Vii is a Space Elf, one of the first alien species met by humans. As one of the better pilots in the elven fleet, she had been offered the chance to join an exchange program with the human military. She accepted and soon found herself on the Shooting Star, adjusting to human robotic technology and many other things. 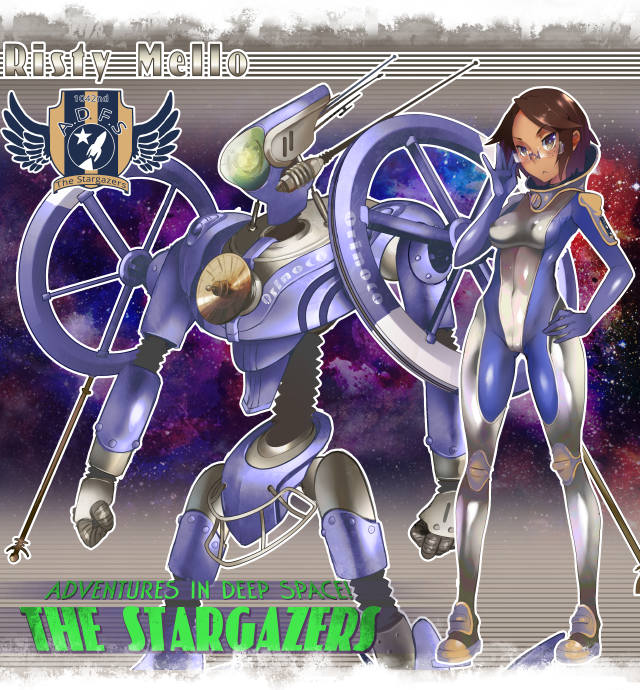 Upon her arrival, she found herself immediately attracted to every single person stationed on the Star, but her heart had been immediately stolen by Risty Mello, and the two have been happy together ever since. She’s always focused on enjoying her life and her job, and does what she can to let others join into her happiness. The Shooting Star’s Captain. She’s been aboard the ship longer than any of its crew, not counting the robots. She’s seen her share of subordinates come and go, and has learned how to be a good host as well as a strong captain. Most of her crew considers her to be the cool mom of the ship, and she lets them get away with a lot. Part-time head engineer and part-time cook. 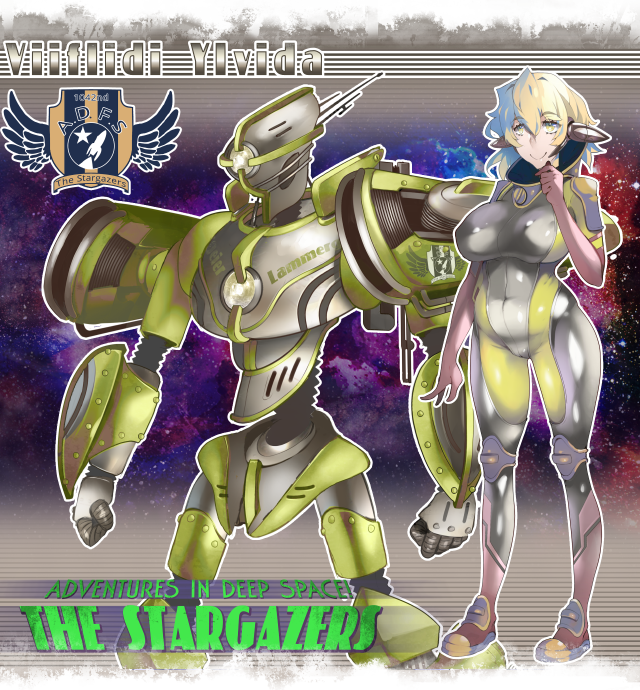 Llewellyn is the only member of the Shooting Star’s crew from Earth, and the only man as well. (Ozuma claims it’s coincidence.) If Ozuma is the team’s cool mom, Llewellyn is the group’s cool cousin. He’s known for working shirtless while fixing up a Cosmaton or part of the Star, though he prefers an apron while cooking. The Shooting Star’s second in command, and Ozuma’s hand-picked assistant. She has yet to tell anyone the reason why. Corona is task-oriented and direct, and arguably gets more done than Ozuma does. Beam takes care of the Shooting Star’s navigation duties. When she’s not plotting courses, she’s often sending messages to her long distance lover, an engine computer named Gogo who watches over a ship stationed far away from the Star. Thankfully, no one has yelled at her for plotting roundabout courses that bring the two ships closer together. In charge of the flight crew! Orbit is the robot who deals more with other robots than humans. They mostly report to and work with Llewellyn when he’s in repair mode. Orbit takes great pride in well-maintained flight bays and orderly launches. She used to be a pilot for the ADF, but discovered her skills and interests were better suited for mercenary work. Since then, the ADF has tried to keep tabs on her, but not much information is known about her other than her love of girls, money, and danger. Classified information. Please report any sightings of these individuals to the ADF immediately. Do not attempt to engage any of them through any means, for your own safety. All three are considered to be armed and dangerous, as well as manipulative and cunning. We thank you for your service. Like what you see? The Stargazers goes on sale November 4th! Pre-order now for 10% off! « Dharker Studio’s Negligee available for pre-order!